Marie O’Connor‘s work bridges fashion, performance art, textiles and illustration. 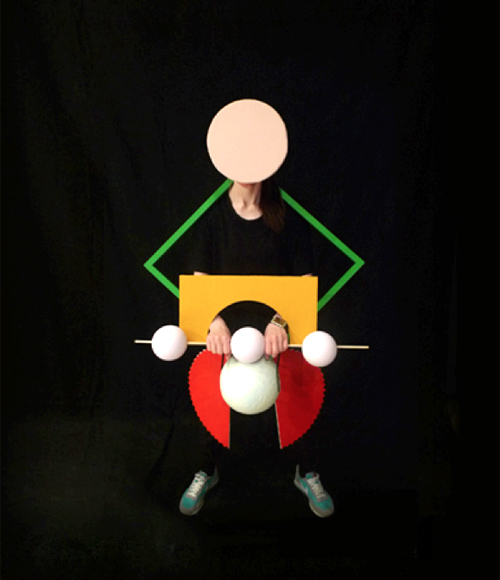 Her work describes a dynamic relationship between body and decoration that she divides into geometric forms. The work, whether garment, interactive performance or textiles, is spontaneous, bold and striking. For more on her work and inspiration see The Geometrics: Volumes 1 and 2. Exhibitions include Trans_vision Friday Late at the V&A, +so on+sew on+so+so at The Lighthouse and Counter:vision at the Hayward Gallery, London.